Home Biblical Christian Articles Yah's Calendar When Does a Day Begin? According to the weight of evidence in Scripture, a day begins at dawn and ends at dusk. The night is ruled by the moon and stars, therefore, day begins when the stars disappear - before actual sunrise and ends when they appear after sunset. The moon and stars to rule by night: for his mercy endureth for ever. Psalm 136:9 Thus saith Yahuwah, which giveth the sun for a light by day, and the ordinances of the moon and of the stars for a light by night, which divideth the sea when the waves thereof roar; The Eloah of hosts is his name: Jeremiah 31:35 The night begins at dusk and ends at dawn. A calendar date is not synonymous with a day. In contrast a calendar date includes both the day and the night, but also begins at dawn. A day is only the first half of the calendar date, while the night is the second half. Any serious student of Scripture, who attempts to honestly answer the following 43 questions, will come to the same profound conclusion. They will discover that day and night are totally the opposite of each other, and are two distinctly different periods, never occupying the same space of time. For far too long, good and honest people have been content with a surface reading of Scripture for their beliefs, when all along the truth requires a deeper study into the original Hebrew or Greek words. From the pen of inspiration comes the following present truth designed to equip Yahuwah's faithful for the battles over truth that lie ahead. Question 1: According to Genesis 1:1-5, what was the first thing the Creator called forth into existence? Answer: The first thing He created was "light." Question 2: What was the first thing the Creator named? Answer: Light was the first thing the Creator named. He called the light "day." Question 3: What was the second thing the Creator named? Answer: Darkness was the second thing the Creator named. He called the darkness "night." Question 4: According to Genesis 1:1-5, when did the Creator make a distinction by separating and naming light and darkness? Answer: It should be carefully noted that when He divided them, He named the day first, followed by the night. Our Creator's choice in using this sequence is actually the very foundation of this truth. As defined above, darkness is the absence of light. To make a distinction between the darkness and the light the creator separated them, meaning that they will forever hold different periods of time and never overlap. He then sealed His declaration that He separated them when He gave them their names. Day and Night are not synonymous terms, but rather they are opposites. Question 5: Since darkness is the absence of light, then what is night? Answer: Night is the absence of day as defined by Genesis 1:1-5. Question 6: According to the Daniel 4:33 and the entire New Testament, daylight is divided into 12 basic units of time. What are these units called? Answer: "Hours." The daylight consists of twelve hours. Hours were reckoned by the shadows on a sundial. Even though some days are longer and some shorter, it always shows up on a sundial as 12 hours, because the length of the hours automatically adjust. Question 7: According to Genesis 1:5, when does a night begin and end? Answer: The night begins at dusk and ends at dawn, incorporating the entire period of darkness. Question 8: So if a night begins at sunset, incorporating the entire dark period, when does a day begin? Answer: The day was reckoned by the daylight hours only, and began at dawn and ended at dusk. If the day also began at sunset, it would be like saying light equals darkness. Question 9: According to Genesis 1:5, what is the definition given for the word "evening?" Answer: The evening together with the morning make up the first daylight. This is a simple math equation: .5 + .5 = 1 whole daylight. Therefore the first daylight was made up of two parts, morning and evening. Morning begins at dawn and ends at noon; evening begins at noon and ends at dusk. With a good Hebrew concordance you will discover that the terms, evening and morning are more accurately stated, the evening together with the morning were the first day. Question 10: According to Genesis 1:5, does the Creator say that the evening is part of the day or part of the night? Answer: Yahuwah, the Creator, said that, "evening and the morning were the first day." If the evening was to be part of the night, and begins the day, this was the place Yahuwah would have stated it. But not one word is said connecting the evening with the darkness of night. He evidently missed His opportunity. Question 11: Now, with a more complete understanding of the differences of day and night as declared by the Creator, during which period of time did He do all of His creative works? Answer: Since evening and morning are the two halves of the daylight hours, then it appears that all the creative works were accomplished during these daylight hours. Absolutely nothing was created during the dark of night after He called forth light. Question 12: What examples from Scripture show that Yahuwah supports the physical realities of light and darkness with spiritual symbolic language? Answer: Throughout Scripture Yahuwah has used these contrasting principles of light and dark to teach His spiritual truths. Darkness was to represent infidelity, spiritual blindness and evil, while light was to represent truth, spiritual understanding, and righteousness. Yahushua uses these principles over and over throughout His ministry along with Paul. Question 13: In the Genesis 1, Moses records the Creator declaring six times that evening and morning were the daylight hours only. So when the seventh-day came along in Chapter 2, what period of time did the Creator designate as Holy? Answer: The Sabbath is only the daylight portion of a calendar date, and is reckoned by hours. If it was to begin at dark, this Scripture would overtly declare that Yahuwah rested on the seventh night three times. See John 11:9. Question 14: According to Genesis 1:14, what did Yahuwah, our Creator, give us to determine our days and our years, lights or darkness? Answer: Lights! Notice it does not say nights and darkness, but lights. Question 15: If a day starts at sunset, when it becomes dark, then when does a night begin? Answer: They do not both start simultaneously, if so, they would be the same. A day starts when it becomes light according to Judges 16:2. Night starts when it becomes dark according to Psalm 104:20. They are totally the opposite of one another according to Genesis 8:22. Question 16: Is 12:00 midnight the middle of the night or the middle of the day? Answer: It is the middle of the night, because the middle of the day comes after the morning and before dusk and is called noon. Question 17: When the holy Scriptures speak about the break of day, or the dawning of the day, in 2 Samuel 2:32, Judges 19:25 and Job 7:4; is this speaking about the beginning of a day, or the ending of a day? Answer: It is speaking about the beginning of a day. Question 18: Was the sun made to rule over the day or was it made to rule over the night? Answer: It was made to rule over the day and not the darkness of night. Question 19 : Since the sun was made to rule over the day, then how can a day begin at night when the sun is not ruling? Answer: It can't, this is impossible because the Creator designed these two lights to declare the specific divisions of each calendar date. Day and night simply can never overlap any more than light and darkness can overlap. Darkness is merely the absence of light, so therefore night is the absence of day. 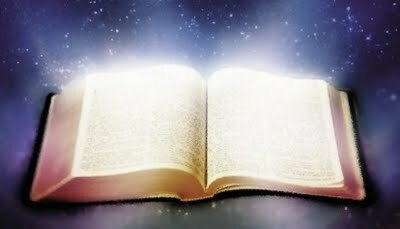 Question 20: The Creator said many times throughout the Scriptures, that He divided the day from the night or the light from darkness according to Genesis 1:3-5, 14-19. When did He put them back together? Answer: He has never put them back together. Many choose to believe that the daylight follows the night without the weight of evidence. Question 21: Is it possible for my visiting parents to remain at my house all day without spending the night? Answer: Yes, because when a day ends, the night begins. Question 22: In Numbers 11:32, it says that the Children of Israel gathered the quail all that day, and all that night, and all the next day. So how many days and how many nights did they gather quail? Answer: They gathered quail for two days and one night, but if a day begins at night then they would have gathered quail three days and three nights. Question 23: In the Heavenly Father’s tender care, He rained manna from heaven for forty years in the wilderness to feed the newly released Israelites whom He had led out of Egypt. In addition to clarifying which day was the seventh-day Sabbath, there are several other details relating to the manna of great importance to Yahuwah, which illustrate when the day begins. He gave precise specifications regarding the gathering of the manna as He stated it would be used to test their obedience to Him. Answer: The miracle of the manna story encompasses more than Yahuwah providing food for the Israelites for forty years. It was His ordained plan to use a feeding schedule to restore Israel back to His time system. Here it is found that the Sabbath of the Master of Heaven is the seventh-day and that it follows six work days. It is found that the day begins in the morning rather than at night. The manna could be preserved for exactly 24 hours, and always went bad the next morning when the fresh, new manna was to be given, except on the Sabbath. We find that the term tomorrow is referred to as a day that begins at morning. On the sixth day, Moses spoke of tomorrow as being the Sabbath day. If the Sabbath had begun at sunset, Moses would have spoken regarding the Sabbath tonight or at sunset. The Sabbath began in the morning, as depicted by no manna given on that morning. Question 24: From the time of Moses, through to the death of Christ on the cross, the morning and evening sacrifices were a daily occurrence. Was only the morning sacrifice administered during the daylight hours? Answer: No! Both sacrifices were administered during the daylight hours. The morning sacrifice was administered between sunrise and noon, while the evening sacrifice was administered between noon and dusk, and never after dark. Question 25: According to Exodus18:13, when does "the next day" begin; in the evening, night or in the morning? Answer: The "next day" begins in the morning, as all of the Scriptures clearly indicate. You will never find Scripture declaring that the "next day" or tomorrow begins in the evening or the night, but it always begins at dawn. Question 26: According to Exodus 16:22-25, when does the rest of the Holy Sabbath unto Yahuwah begin, in the night, evening or in the morning? Answer: The Sabbath begins in the morning as all other days begin. When the next morning came Moses said, "Eat that today, for today is a Sabbath to Yahuwah." This clarifies that the Sabbath began the next day at dawn. Question 27: If a night is considered a day, then what did Yahuwah mean when He said that He would cause it to rain on the earth forty days and forty nights? Answer: A night is not considered a day, or even the beginning of a day, but rather they are the exact opposites. Also, notice in the words of the Yahuwah Himself that He states that the day comes before the night. Question 28: If a day begins when it becomes dark, then why is darkness always during the night in Scripture and never depicted as the day, except when it is speaking about the "Day of Yahuwah's Wrath?" Answer: A day does not start when it becomes dark, because Yahuwah totally separated the light from darkness, when he separated day from night. Question 29: In Genesis 1:5, does the word day mean light or does it mean both light and darkness? Answer: The word "light" means day and the darkness means night. Question 30: In Genesis 1:3-4, it states that "Elohim divided the light from the darkness." Did this mean He put light and darkness together or separated them? Answer: He separated the light from the darkness. Question 31: Why is it that the upright and righteous men are stirred up against the hypocrites? What did the people do to deserve to be called hypocrites? Answer: Because the hypocrites are saying that Yahuwah, our Creator, is a liar when He said He separated the day from the night. Genesis 1:4. Now they have changed the night into day when Yahuwah had declared the light to be day and not the dark of night. Question 32: If a day always started at night, then how could anyone change the night into day? Answer: This would be totally impossible. By the wicked Israelites trying to do so, it would bring about the total destruction of the House of Israel. Question 33: According to the words of the Most High, what is the difference between a day and a night? Answer: Day equals light, and night equals darkness. Jeremiah 31:35 and Psalm 136:7-9. Genesis 1:5 states: "Elohim called the light day, and the darkness he called night. Question 34: In Jeremiah 33:19-21, Yahuwah speaks about the evil that He would bring upon the house of David and kingdom of Israel if they broke His covenants. What was the covenant that Yahuwah was stressing that His people not break? Answer: His covenant of the day, and His covenant of the night must not be broken, which would cause the day and the night not to be at their appropriate times. Question 35: What does Yahuwah declare will happen if the ordinance of day and the ordinance of night are removed? Answer: Israel will cease from being a nation. Question 36: Many Sabbatarians have used Leviticus 23:32 as a second witness in conjunction to Genesis 1:5, that we are to keep the holy seventh-day Sabbath from even unto even, which they interpret as sunset unto sunset. While this does appear confusing at first glance, the pure and unadulterated truth lies within the original Hebrew wording and is not found in the translated versions. Answer: The first observation one must notice is that this verse is stating the parameters of the Feast Day of Atonement which is an annual feast day occurring on the second day of the week. This text is not specifically referring to the seventh-day Sabbath any more than the description of the Feast of Passover in verse 5, which was to commence at dusk. Question 37: Genesis, Exodus and Leviticus were all recorded by Moses. If the time elements clarified in each of these books were not in perfect harmony with each other, Moses would have questioned Yahuwah. It was Moses who recorded the Ten Commandments, including the fourth, which speaks specifically of the seventh-day Sabbath. Is there any reference made to commencing the Sabbath at night? Answer: There is no reference to the Sabbath commencing at night or sunset. Furthermore the terminology is in harmony with all we have previously discovered that when the Creator speaks of the day, by that name, He specifically is referring to the daylight and not a full calendar date. Also, notice the very last sentence. He blessed the Sabbath day and set it apart as sacred and holy. No where in scripture is the dark of night ever set apart as sacred and holy, as it was divinely designed to symbolize spiritual blindness and evil. In contrast the light was to symbolize truth and righteousness. There are no inconsistencies regarding this ordained symbolism. The Sabbath was to be the daylight hours only. It was to be from dawn unto until dusk. Leviticus 23:5; 32. Much more on this in Part 2. Question 38: During the life of Christ, He kept the Sabbath for the correct length of time. How long did he declare a day to be? Answer: While He states the day to be twelve hours in length, notice He clarifies no difference between the length of a week day and a Sabbath day. In this way He defines them as the same. The traditional Jews are not able to utilize this detail. Question 39: Also during Christ's life it was His custom to go to the synagogue. Was this during the light or dark portion of a calendar date? Answer: According to Scripture it was His custom to enter the synagogue on during the daylight. No where is it recorded that He went to the synagogue to worship during the dark of night. The traditional Jews are not able to utilize this detail. Question 40: Yahushua was the Lamb of Yahuwah to be sacrificed on behalf of all people of all time. After an agonizing nighttime trial and beating, our Savior was on the cross at about the sixth hour. Was this the sixth hour of the day, or the sixth hour of the night? Answer: If you say it was the sixth hour of the "day", then you must realize that this time continuum is counting from about dawn at the beginning of each new day. Thus it would place Yahushua on the cross at approximately 12 Noon. However, if you say "night", because you believe Sabbath hours began counting from sunset, then you are saying that Yahushua was on the cross at approximately 12 midnight. It simply can't be both ways. Luke confirms that He died during the 'daylight hours' because the sun was darkened - "And it was about the sixth hour, and there was a darkness over all the earth until the ninth hour. And the [sun] was darkened, and the veil of the temple was rent in the midst." Luke 23:44,45. Question 41: Passover, Abib 14, A.D. 31, was the calendar date of the crucifixion. This day of days, also known as the preparation day, contained only 12 hours from dawn to dusk. How many hours did the following day contain? Christ was placed on the cross on the third hour of the day. At the sixth hour (noon) darkness was over all the land until the ninth hour (3:00 P.M.), at which time Christ Yahushua died. Answer: The following day contained exactly the same amount of hours, which was a total of twelve. That day was not only a seventh-day Sabbath, but it was also the first day of the Feast of Unleavened Bread, making it a High Sabbath. The number of sacred hours of this day were exactly the same as the sacred hours of the seventh-day of creation. The sacred portion of any calendar date has always been the daylight hours only and were never to include the darkness of night. The traditional Jews are not able to utilize this detail. Question 42: Does the gospel account of the crucifixion provide time details that only fit if the day begins at dawn? The subject of when the day begins is important because it affects the observance of the Sabbath. In recent years, it has become a very controversial topic among Sabbath-keepers. However, when the weight of Scripture is brought together, it is clear that the day begins at dawn and ends at dusk. While the nighttime hours have the same date as the day that just ended, the sacred hours of the Sabbath, as revealed in the story of the Exodus, are the daylight hours only. Answer: Yes, a close study of the events and the word study of the text shows that a day begins at dawn and ends at dusk. Question 43: If the celebration of our Sabbath day begins in the evening when the sun is going down, why would our Creator state that all nations shall praise His name and worship Him from the "rising of the sun, even to its going down?" Answer: If the Sabbath day begins in the evening, as many people believe, then these verses would make no sense whatsoever. All creation was accomplished during the light hours of the day. Genesis 1: all. The Creator declared six times in six days that His works of creation were accomplished during the daylight hours, which were composed of the evening together with the morning. Genesis 1: all. Yahuwah has always used the contrasting principles of light and dark to teach His spiritual truths. Proverbs 4:18-19; John 8:12; Matthew 5:14, 15; John 1:4, 7; John 3:20; 1 Peter 2:9; Ephesians 5:13. Symbolically, "darkness" was to represent infidelity, spiritual blindness and evil. Proverbs 4:18-19; John 1:4; John 3:20; 1 Peter 2:9. Symbolically, "light" was to represent truth, spiritual understanding, and righteousness. Proverbs 4:18-19; John 1:4; John 3:20; 1 Peter 2:9. Hypocrites call the night day. This is demonstrated by all those who believe the holy seventh-day Sabbath begins at sunset. Job 17:8-14. If the ordinance of the day and ordinance of the night are removed, then Israel was to cease as a nation. Job 17:8-14. The Creator blessed the Sabbath day and set it apart as sacred and holy. No where in Scripture is the dark of night ever set apart as sacred and holy, as it was divinely designed to symbolize spiritual blindness and evil. Proverbs 4:18-19; John 1:4; John 3:20; 1 Peter 2:9. The Sabbath day is the same length of time as all other days, incorporating a period of 12 hours of daylight. Genesis 1:1-5; Genesis 2:1-3; John 11:9. During Christ Yahushua's life He declared that there are 12 hours in a day. He was the Creator who called the light day and the darkness he called night. He changes not. John 11:9; Ecclesiastes 3:14; Isaiah 40:8.